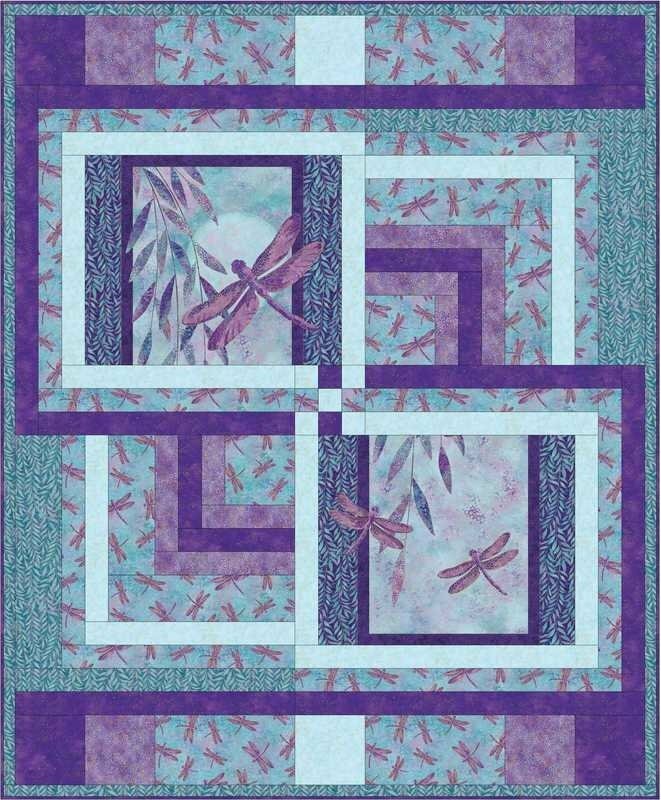 Northcott fabrics, featuring the Dragonfly Moon collection. Includes pattern by Nine Mile Patterns, and fabric for top and binding. Finished size 56 x 68 inches.